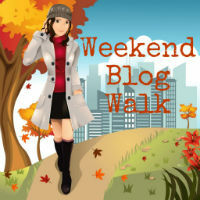 Thank you for joining us for Week # 17 of the Weekend Blog Walk. We continue to grow every week, thanks to wonderful word of mouth and the promoting you do. Link up your blog on the first Linky, Social Media accounts on the second, and if you have a Giveaway (or want to win one! )- link up all your awesome giveaways here. Looking for ideas for your About Me page? Check out all the great bloggers sharing their ideas here. 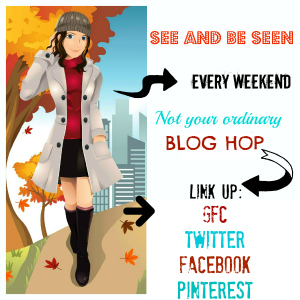 Weekend Blog Walk is the place to see and be seen… and for all things Linky! 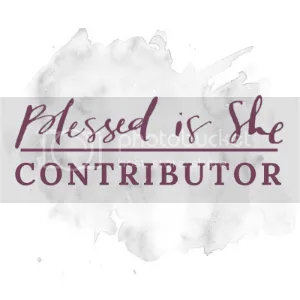 As always, please be sure to follow EACH of the Hosts and Guest Hosts via Google Friend Connect and leave a comment on their blog letting them know you are a new follower with a link to your blog to make it easy for them to follow you back! 1) Follow your Co-Hosts and Guest Hosts (1-6 on the Linky) via GFC, and Facebook, Twitter or Email. Please leave a comment if you are a new follower. Jillian from Hi! It’s Jilly. 3) Visit at least 4 blogs and show some comment luv. Don’t just link up and hope for follows with no return. 4) NEW- Please post our button on your sidebar or on your Weekend Blog post. It is a great way to spread the word and helps to make sure we have new bloggers linking up every week. This is a win, win for you because we know you want new followers. Thanks! Here’s to a fun and fabulous weekend! Stopping in from the hop! Thanks for co hosting this week :) New gfc and twitter follower. Hope you have a wonderful Labor Day weekend! found you via the hop! glad i did!! Thanks for stopping by LuAnn! Welcome! Welcome! Looking forward to stopping by! I agree with Craig. Willie needs full drives in all four quarters if things are going well for him. Moore will have big plays running and catching. He is their third down back and needs to be used exclusively in that role unless Willie is struggling big time. Put Willie behind McHugh and go after these soft SD libeanckers. Welcome Leslie! Liked you on FB! Welcome, Myranda! Liked you on FB! Hi! Started following you from the Weekend Blog Walk!! Welcome! I’m your newest fb fan! Welcome! I just liked you on FB! Thanks Michelle! I’m your newest Twitter follower! New Follower here from the blog hop! New follower here! :-) I haven’t blogged yet this weekend, but since tomorrow is a holiday….I’ll consider tomorrow’s post part of the weekend! Looking forward to popping in!! Hi, I’m a new follower from the hop. Thanks for hosting and I can’t wait to dive into your blog!!! Welcome, Kristin! I’m your newest Twitter follower! Welcome, Tracy! Just followed you on Twitter!